Carr’s intricately woven debut evokes the history of nineteenth-century Chicago while showcasing important but little-known historical figures and fictional people from different walks of life who contribute to its development. 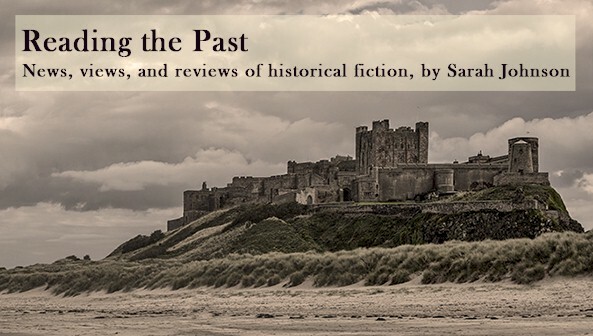 The chronologically arranged chapters vary in style, from straightforward narrative to spot-on pastiches of news articles and diaries to excerpts from a compiled “alternative history” text whose contents are cleverly self-referential. In 1800, Jean Baptiste Pointe de Sable, a trader of part-African descent and the marshy land’s first nonindigenous resident, plays a fateful chess game. Other significant characters include schoolteacher Eliza Chappell Porter, developer John Stephen Wright, and engineer Ellis Chesbrough. Their and their descendants’ lives are full of incident, including the Battle of Fort Dearborn and the Great Chicago Fire. While their personalities are colorfully rendered, the depictions of Native Americans aren’t terribly nuanced. More eclectic than Micheneresque, the novel nonetheless offers a strong sense of place. Ambition, injustice, and opportunity all play roles as Chicago expands outward and upward. Over time, the disparate stories, which span the entire century, intersect in delightfully unexpected ways. 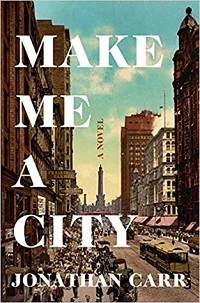 I reviewed Make Me a City for Booklist's March 1 issue, and it's published today by Henry Holt. I had some caveats but was glad to learn more about early Chicago's lesser-known movers and shakers. All of the people named in the review are historical figures, and they mingle with an array of fictional characters. The title alone piqued my interest, and your review has me putting it on my tbr list. Thank you. Sorry for the late reply! It is an intriguing title. Hope you'll enjoy the read, too!